JyellowL – Nuh Fi Hurt Me (top) and Spooky (above). 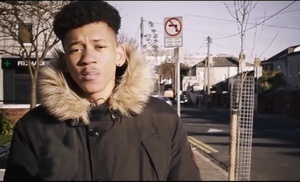 Fresh from being picked as one of 2018’s most promising new acts by The Thin Air and State.ie, as well as an astonishing show at Whelan’s Ones To Watch, Dublin rapper JyellowL has released two new videos from his debut Bulletproof EP. While the tracks may be of different styles (showcasing the softer and harder side of his music), the videos act as companion pieces – telling the story of confronting your demons, conquering them before eventually becoming them. Posted in Misc and tagged Decent Irish Rap at 1:01 pm on January 30, 2018 by Bodger. Is a tantrum: that of a neglected child. 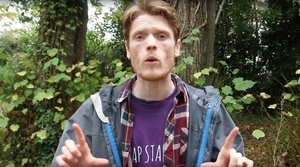 Bray rapper Leigh Michael goes below the fold in Acapella Archive, episode 18. Today’s episode is a response to a comment hinting at the ‘private language’ and ‘Chinese Room’ arguments for potential philosophical themes to explore in verse. I’m also going to take the opportunity to explore the nature of online commenting. Posted in Misc and tagged Decent Irish Rap, Leigh Michael at 1:21 pm on January 17, 2018 by Bodger. A brilliant five track debut EP by RTL aka Rob Toal-Lennon, who hails outta Enniskerry, County Wicklow. Posted in Misc and tagged Decent Irish Rap at 4:39 pm on January 2, 2018 by Bodger. 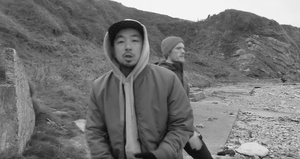 Bray [County Wicklow] rapper Leigh Michael and Bray producer Luke B with a cut off Art of the Sly Man part 1 and a tangy video directed by Kate McCarrol. 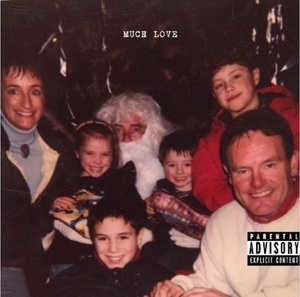 Posted in Misc and tagged Decent Irish Rap at 10:57 am on December 20, 2017 by Bodger. Ansin ag déanamh snaois bhán le réaltaí TG4. 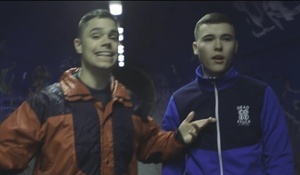 Posted in Misc and tagged Decent Irish Rap, Gangster Rap at 11:36 am on December 18, 2017 by Bodger. 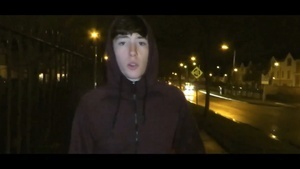 Bray rapper Leigh Michael’s Acapella Archive, episode 17. Posted in Misc and tagged Decent Irish Rap, Leigh Michael at 1:58 pm on November 22, 2017 by Bodger. Two of Dublin’s most promising MCs join us for a double-headliner on November 16..
Luka Palm; We first heard Luka at a Softboy Records label party at Good Name last year and were blown away by a young lyricist broadcasting an intellect well beyond his years. Don’t miss a rare performance from someone you’ll be hearing a lot more from in 2018. 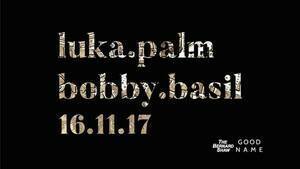 Bobby Basil; Having enjoyed success with the mighty Dah Jevu and dropping some well-received collaborations with Wastefellow, Bobby is gearing up for some fresh releases in early 2018. 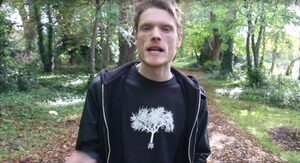 Posted in Misc and tagged Decent Irish Rap at 11:32 am on November 7, 2017 by Bodger. I’m delighted to share with you episode 16 of ‘A Capella Archive’ – ‘Biro-technics’. In this episode I return to my word play ground to have fun with writing metaphors, expressing my technique with an inter-changeable flow. Hope you like it. 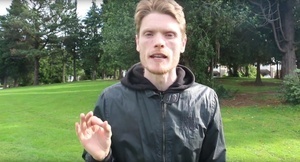 Posted in Misc and tagged Decent Irish Rap, Leigh Michael at 4:09 pm on September 28, 2017 by Broadsheet. By Sl!m J!m, from North County Dublin. Posted in Misc and tagged Decent Irish Rap, Sl!m J!m at 5:00 pm on June 1, 2017 by Broadsheet.